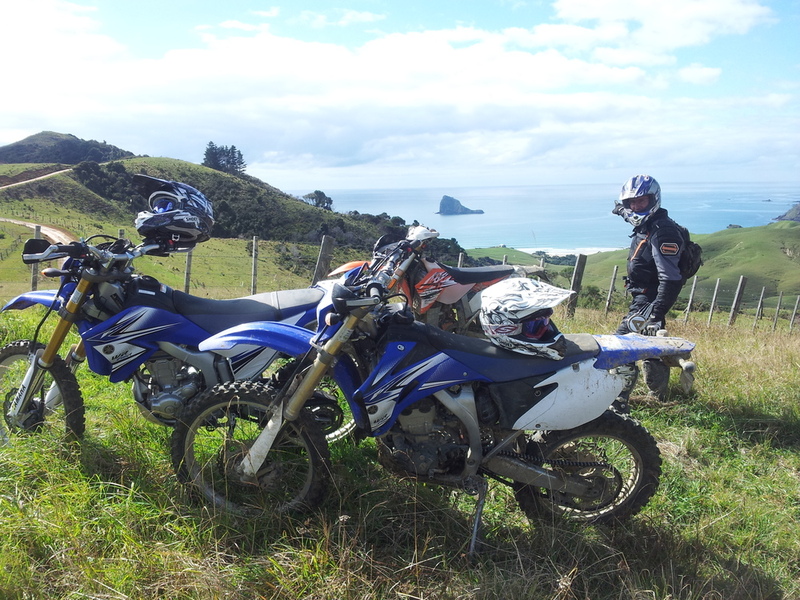 The YAMAHA Far North Adventure Ride, is New Zealand’s longest running (since 1992), non-competitive, off-road motorcycle event. The YAMAHA Far North Adventure Ride uses the 'Route Sheet' navigation method. On arrival at the event participants will be provided with route sheets and will use these to self-navigate the course . This year the event is based from a new location at Kauri Coast TOP 10 Holiday Park, North of Dargaville. Long time Britton Adventures crew member Mike’s A.B. and J, have put together an awesome route using the best tracks and trails on public and private land. This event will include a dedicated Big Bike friendly ‘Adventure Route’, with optional trail sections; ensuring there is something to suit all adventurous off-road riders. This is a non-competitive motorcycle adventure, suitable for all ROAD LEGAL, dual-purpose, and trail type motorcycles. The terrain that entrants can expect to encounter on this event are farm tracks, pine forestry trails, stream crossings, native bush tracks, and backcountry roads.